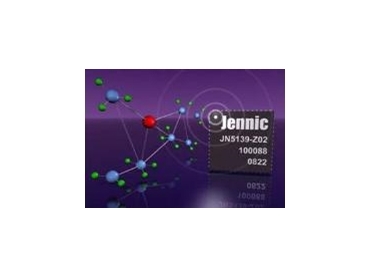 Jennic, through GLYN High-Tech Distribution , has introduced a ZigBee PRO software stack to run on its JN5139 32-bit single chip wireless microcontroller. Both embedded single chip and co-processor configurations are supported, allowing designers of industrial automation, energy metering and home or building control applications to create highly-integrated, cost-effective products. When operating as an embedded single chip, the software stack and processor provide a high performance, feature-rich implementation that supports both the ZigBee PRO protocol and the user’s application. As a co-processor, it allows ZigBee PRO networking functionality to be easily added to existing designs and applications. To accelerate time to market ZigBee PRO is also offered with Jennic’s comprehensive range of FCC and ETSI certified modules, removing RF design complexity. Jennic’s JN5139 32-bit wireless microcontroller combines the ZigBee PRO stack with significant internal memory resources and power management for minimising energy consumption. The microcontroller features 192kBytes of on-chip ROM for the IEEE802.15.4 MAC and 96kBytes of RAM for application software. It also integrates on-chip UARTs, SPI and 2-wire serial (I2C) interfaces, general purpose I/O (GPIO), timers, a 12-bit ADC, DAC and comparators, while power consumption is maintained below 5uA in low-power sleep mode. The integrated 2.4GHz, IEEE802.15.4-based transceiver supports a 100dB link for indoor communication over 30-50m, as well as secure 128-bit AES encryption.